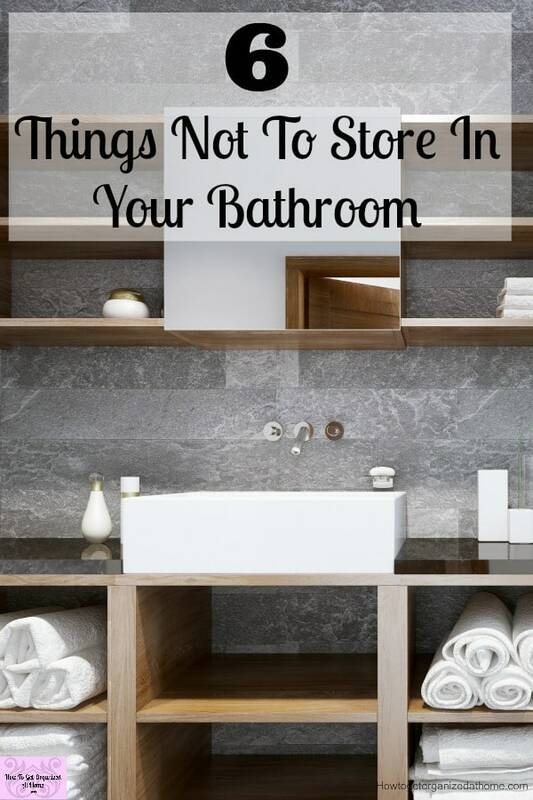 Knowing what items that you should keep in the bathroom from those items that are best not to store in your bathroom to protect the health of your family. 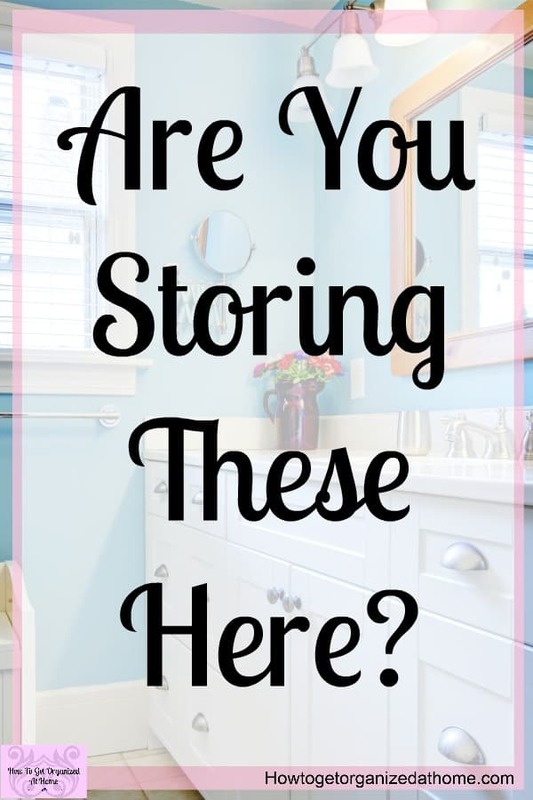 Have you ever wondered where you should store something, or have you not given it much thought? Well, there are some things not to store in your bathroom as they can pose a risk to your family’s health. 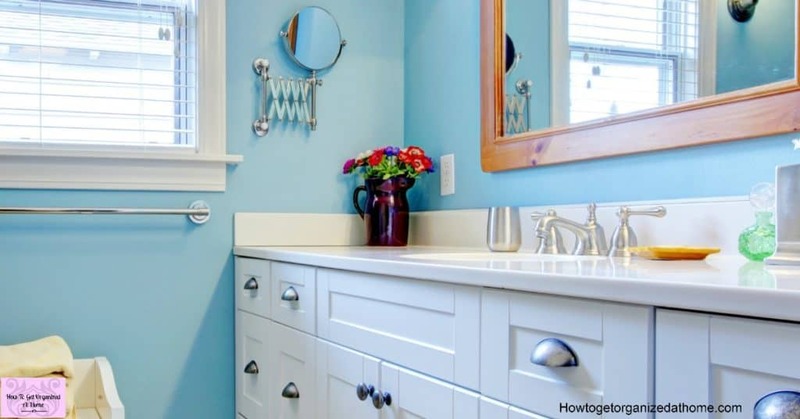 These items you should remove from your bathroom immediately, don’t wait! Medication: This you must not store in the bathroom, the fluctuation in temperatures and the high humidity is not good for any type of medication. Storing medication in this way actually reduce its effectiveness, making it potentially life-threatening if it isn’t doing its job! Electrical devices: You shouldn’t take an electrical device into the bathroom that isn’t able to withstand the high moisture levels found in bathrooms. Certainly, you should not have the electrical item in your hand whilst in the bath; this is dangerous. Electric charging cables: You know the ones I mean, the one to charge your razor, which is probably in your bathroom cabinet. This is not the place to store it. The high moisture content could cause an electrical short when plugged in to charge. Make-up: Do you keep your makeup in the bathroom? You are reducing the shelf life of your products and potentially using out of date makeup on a sensitive area of your body, your face. There is a high probability the makeup you are using is contaminated with germs and bacteria associated with living in the bathroom. This is not something to use to cover your face with! Make-up brushes: Do you store these in your bathroom? These items can pick up the germs that float around in our bathrooms and then you use these brushes to apply makeup, spreading the germs to your face and into your makeup allowing for the cross contamination to continue and for germs and bacteria to grow. Reading material: Do you read in the bathroom? If you are a bathroom reader, apart from the spread of germs when flushing the toilet, there is another area you must consider. Leaving the paper or book in there, the high moisture content and paper are not a great combination, it can cause mold and mildew to grow and this is not good for anyone’s health. If you must read in the bathroom then take it with you when you leave. 15 Reasons Why You Should Deep Clean Your Bathroom, this article will help inspire you to clean your bathroom! 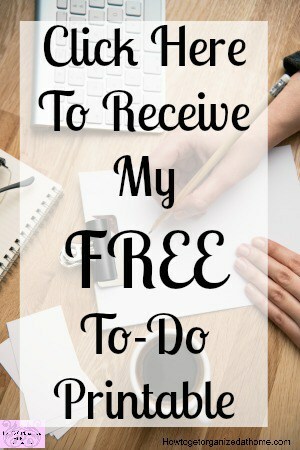 Grab my cleaning printable pack here! If you want to organize your makeup but also have it where you need it, having it organized in something like this is going to help you keep your makeup organized and safe! Storing your medication, safely and securely is important! It can prevent accidents from happening too! The bathroom has the perfect mix of high moisture and the potential for spreading lots of germs and bacteria. It is the same in every bathroom, and whilst it is a difficult area to keep clean and to ensure your family is kept safe, there are things that prevent the spread of more germs. 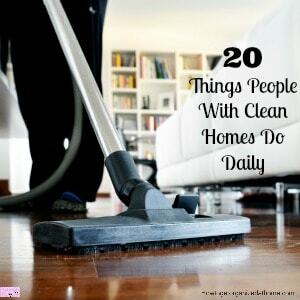 Keeping the area as clean as possible is your first consideration. Schedule a cleaning time, you might find that a quick clean is better for your family more frequently rather than cleaning once per week! My biggest hate in the bathroom is to leave the toilet seat up. 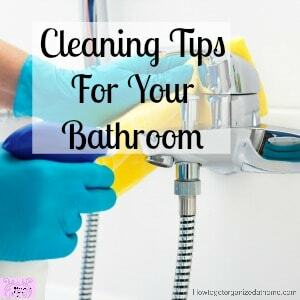 Especially when you flush, this will spread a thin layer of spray around your bathroom and this will have particles that contain germs and bacteria. The other problem is ventilation, these wonderful new products that reduce energy loss from our homes. But, a house needs to breathe. With the high concentration of moisture in a bathroom, the lack of ventilation causes mold growth. You need to ensure that there is adequate ventilation in your bathroom to allow the air to move as this helps to keep the room dry and mold free! Why you should remove these items from your bathroom is simple, it will promote a better healthier environment and reduce the risks of spreading germs! 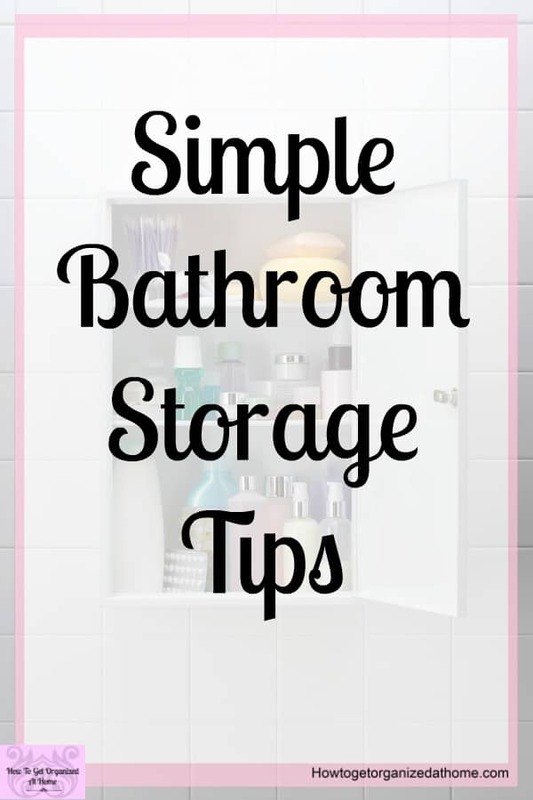 Therefore, by reducing the spread of germs, storing only items suitable for storage in the bathroom, you are making it a safer place for your family to use. Very interesting list!!! We have a linen closet that is in our bathroom that is one of our few storage places in the house… what are your thoughts on storing some of those things in there since the door is closed??? Hon, take a breath. It’s gonna be OK. Take it from a nurse who understands clean- your bathroom is not that bad. Don’t worry so much! Thanks Maureen for your kind words but I have a big fear of germs! Very interesting read. I am a Double Transplant Patient and my meds are in a bag in the draws of the vanity. Never knew that going to find a new spot. Can’t afford an issue.